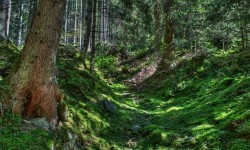 Free HD Dry river bank in the forest widescreen Nature wallpapers. Download Dry river bank in the forest mobile wallpapers. Download Dry river bank in the forest desktop wallpaper in multiple resolutions for free.